The Pacific Innovation and Entrepreneurship Summit (PIES) is a gathering of Pacific students, faculty, and alumni interested in innovation and entrepreneurship. The goal of PIES is to showcase the work of students, to develop a collective community of Tigers interested in innovation and entrepreneurship, and to discuss entrepreneurial ideas and opportunities for the future. The event will include: (a.) The Tiger Tradeshow, a marketplace of ideas where students will showcase their concepts and attendees will have a chance to network; (b.) 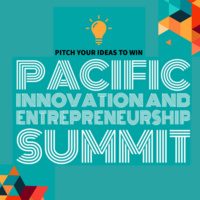 The Pacific Pitch competition, judged by expert alumni and (c.) The Fantastic Forum, a public panel discussion comprised of leading investors and entrepreneurs discussing emerging entrepreneurial needs and opportunities. De Vinci's Italian food will be provided. Interested in volunteering for this event? The Pacific Innovation and Entrepreneurship (PIES) Club is recruiting new members. Please contact Daniel Argueta, president of PIES, for more information d_argueta@u.pacific.edu.